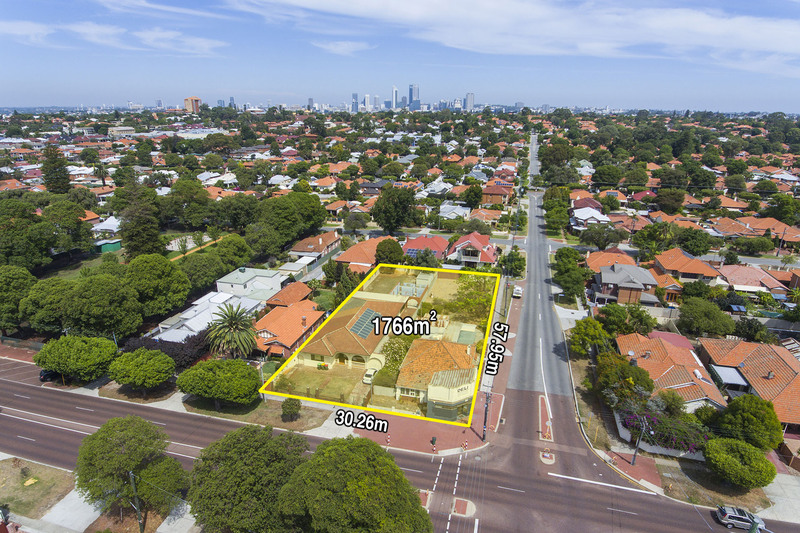 1,766sqm development site across two titles comprising a 5 bedroom 2 bathroom brick and tile home and a corner shop. 179 Central Avenue is Zoned R40 (Multiple Dwelling) and 181 Central Avenue is zoned Local Centre. Multiple development options including a residential/mixed use of up to 4 storeys on 181 Central Avenue. Also potential for child care site, ideally situated midway between Mt Lawley and Inglewood Primary Schools or even a church site. Development sites in the exclusive suburb of Mount Lawley are rare. For Sale by Expressions of Interest closing 4.00pm Thursday 2 May 2019. Call or e-mail Paul now for a copy of the Information Memorandum for more details.